At Cheese Board Pizza in Berkeley, Calif., a slice of pizza comes to $2.73 (that's $2.50 plus tax.) But if you pay with $3, you’ll get a little bonus. The store cashier will hand you back 30 cents -- just a little more than the correct change. That’s because there are no pennies allowed in this restaurant. “We try and avoid them at all costs,” pizza shop worker Niklas Terczak told The Huffington Post. The pizza store has been penny-free since August 2012. Cheese Board is just one of a number of small businesses around the country refusing to do transactions with pennies because they are too cumbersome to deal with when considering their measly monetary value. Stores contacted by HuffPost said that instead of doling out odd change, they rounded down to the nearest nickel when dealing with cash-paying customers -- even if it meant a small loss for the company. Like Cheese Board, Miami's Shell Lumber and Hardware has also been penny-free for almost a year. “Prior to the policy, we were counting 1,200 pennies a day,” said Kelli Richardson, assistant to the president of the hardware store. “The time to keep track of them didn’t balance with the cost.” Richardson said the store rounds down in the customer’s favor when necessary. But not all stores are rounding down. Earlier this year, a number of Chipotle stores in New Jersey were caught rounding up -- cheating customers out of a few pennies. As cash-free transactions become more popular and available and small businesses look to be more efficient, the debate over whether the penny is even necessary is picking up steam. Also adding momentum to the anti-penny movement was Canada's move last year to pull its pennies out of circulation. Penny critics say the coins are too time-consuming and wasteful. But others point out that pennies add up, and losing them would have the greatest impact on the poorest Americans who tend to use more cash than credit. "There is always a need for cash and coin, especially for low-income and unbanked -- these people rely on cash and coins. The rounding issue has a disproportionate effect on them," said Mark Weller, executive director of Americans for Common Cents, a lobbying group for the penny. The penny is not cheap for the government to make. According to the U.S. Mint, every penny in circulation costs more than two cents to produce after factoring in the cost of the metal, the fabrication and distribution. Bicycle chain Mike’s Bikes, which has 11 locations in northern California, has been penny-free for nearly three years. According to a sign posted in the store, the change was implemented to increase the store's efficiency and to make a statement against government waste and environmental pollution. But even if specific stores are taking a stand, it could be a while before the penny makes a grand exit from cash registers. The government has made no move to retire the coin as of yet. Alko Office Supplies, also located in Berkeley, banned pennies around 2008, simply because owner Gary Shows thought "they were silly." After the ban, he said he lost around $300 each year due to rounding for the customers -- but the convenience was worth it. Still, he's unconvinced his store's pioneering ways will make much of difference, he said. "I don’t think it will ever happen, Americans are too conservative about their money," Shows said. "I made space for $2 bills in the registers, and that never took off." All his jokes aside, Jim Carrey has a dark past. The Canadian actor grew up in poverty and at 12 years old was forced to get an after-school factory job working eight hours per day. "My father lost his job when he was 51 and that was the real 'wow', the kick in the guts. 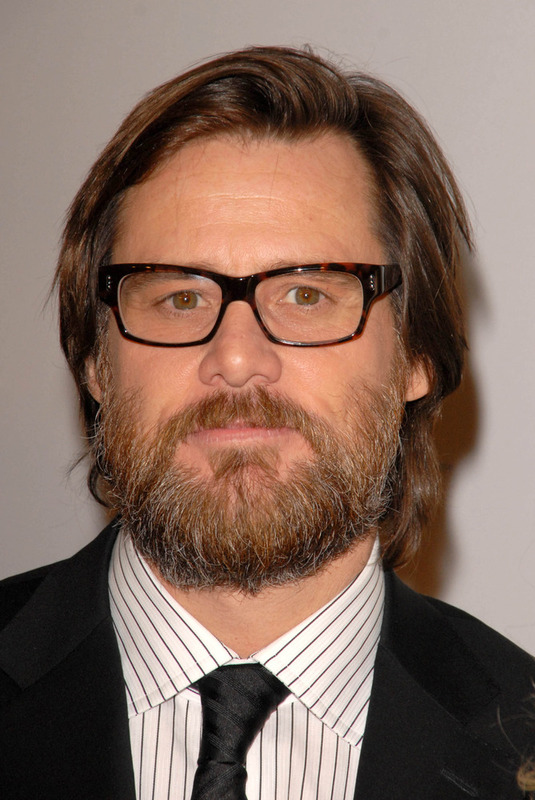 We lived in a van for a while, and we worked all together as security guards and janitors,"<a href="http://www.aceshowbiz.com/news/view/w0009543.html"> Carrey once said of the experience</a>. His 2003 film, "Bruce Almighty" <a href="http://www.washingtontimes.com/news/2012/jan/16/list-top-10-jim-carrey-movies/">grossed $484.6 million</a> according to the Washington Times.